HL-5240L Brother HL-5240L Printer - Refurbished with 3 months Return To Base Warranty & Working Consumables. The Brother HL-5240L Printer is as good as buying new as all worn parts are replaced. This saves you up to 50% off the price of a brand new printer. We are confident that you will be 100% satisfied with your Brother HL-5240L Printer and are here to help with any support questions you may have. The Manufacturers part number/product code for this item is: HL-5240L. -Up to 24ppm monochrome printing speed. -First print in under 8.5 seconds. -Up to 1200 x 1200dpi print resolution. -Hi-speed USB 2 amd Parallel connection. 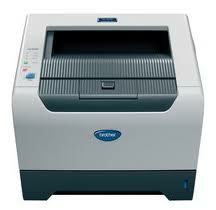 For business quality printing, whether at home or in the office – the Brother HL-5240L is the ideal, low cost printer. Quick and easy to install, the HL-5240L printer has state-of-the-art interactive animations to help get the most from this machine.